Byron (By) L. Bailey was one of the charter team members of the new BC Lions franchise and scored their first touchdown on opening night. Bailey played Fullback for eight seasons and Defensive back for his final three season. He rushed 783 times for 3,643 yards and 26 touchdowns and caught 101 passes for 1,161 yards. 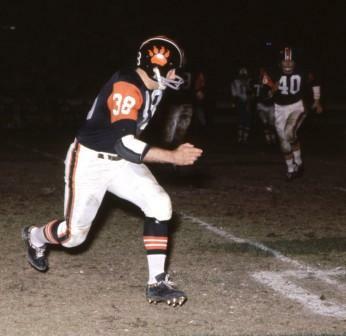 In 1963 he was classed as one of the country’s top defensive backs and was the Lions leading pass interceptor. On October 29, 1960 he was honoured at “By Bailey Night”; the first Lions player to be recognized in this manner. Byron L. Bailey is also a member of the BC Sports Hall of Fame.